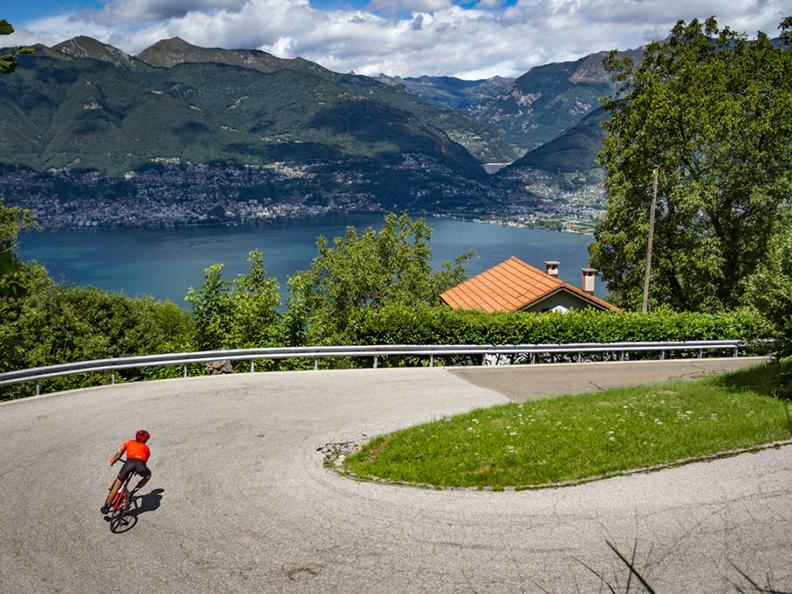 It takes a climb of almost 1200m to reach Alpe di Neggia, a hidden gem in Canton Ticino, Switzerland’s Italian-speaking canton. The view from the summit is worth the effort! The loop starts in Locarno, known for its film festival. 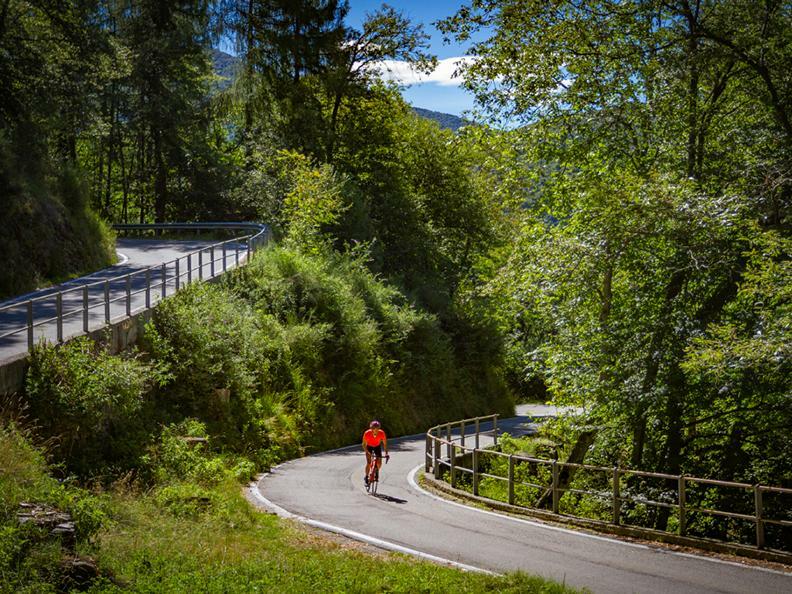 The first few kilometres follow a cycle path that hugs Lake Maggiore then crosses the Magadino plain. You rejoin the lake at the village of Magadino, where the palm trees impart a Mediterranean ambience that contrasts with the surrounding mountains. After ten or so kilometres you enter Italy at Dirinella. Now it is another ten kilometres before the ascent to Alpe di Neggia starts. Quite steep and narrow, the road climbs rapidly via numerous hairpins. The views of the lake are simply superb. With the exception of a level stretch at Garabiolo, the road climbs constantly for 11 km while entering the Vedasca valley. Ups and downs then feature for 6 kilometres to Indemini, the point at which you cross back into Switzerland. 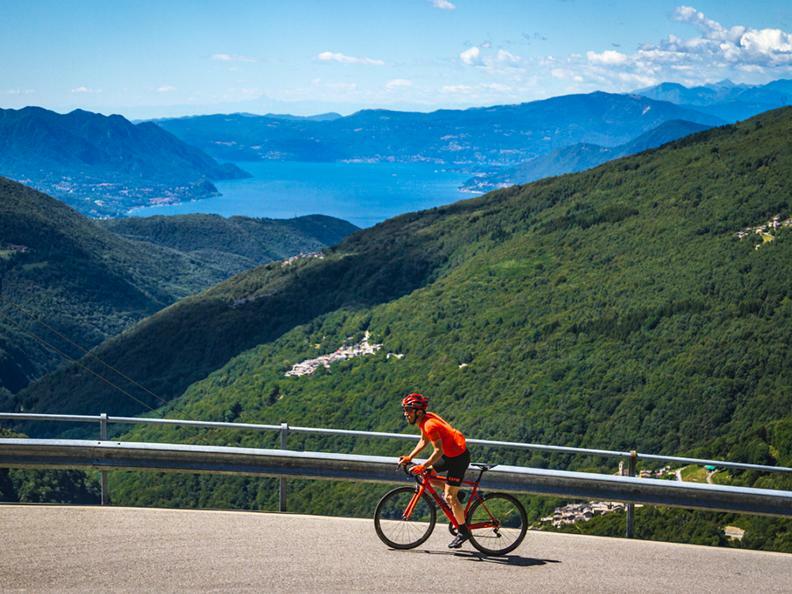 The ultimate leg of the ascent is arduous, fluctuating between 8 and 10% over 4.5 kilometres to finally reach Alpe di Neggia at alt. 1395m. 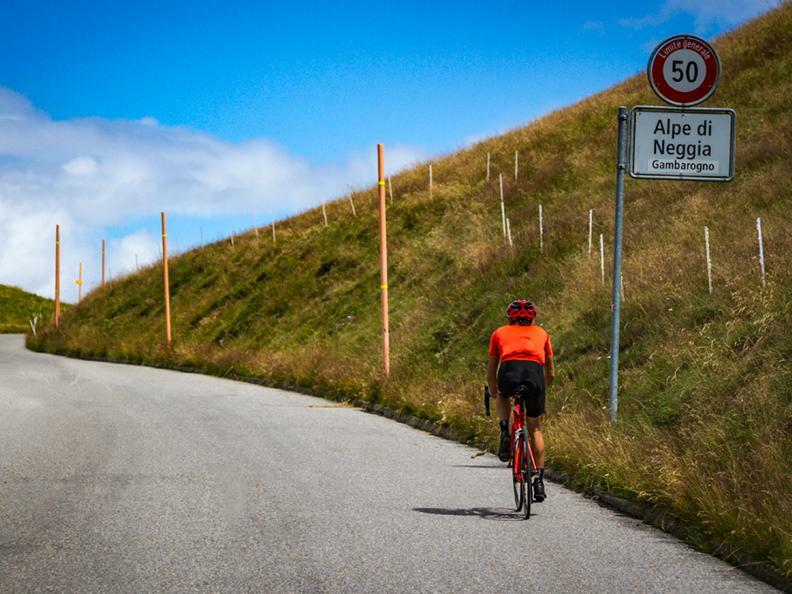 In all, you will have climbed 1177m over 21.5km, figures worthy of a major alpine pass. 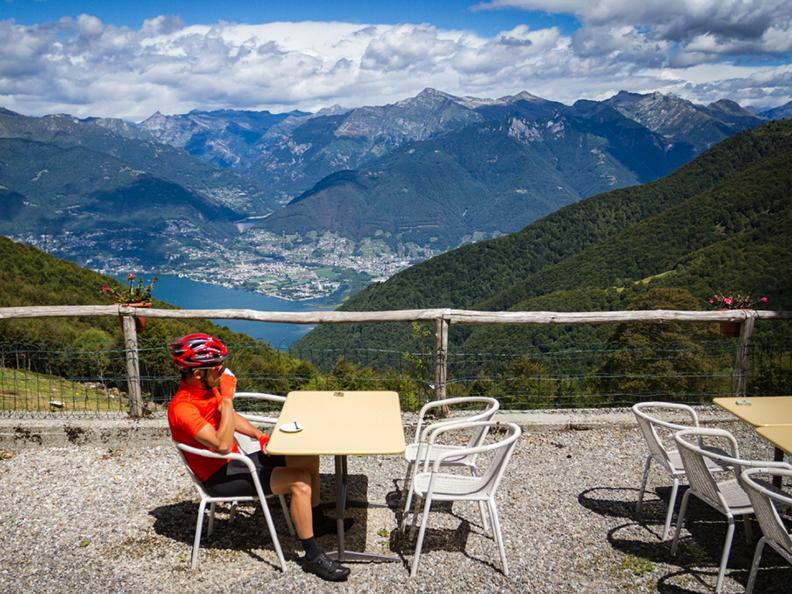 The views from the pass – which lies between the Monte Gambarogno and the Monte Tamaro – of the peaks overlooking the Verzasca valley above Locarno are glorious. A restaurant is on hand for relaxation and refreshment. The downhill back to Vira is steep: averaging 9.5%, it boasts 33 hairpins. Please take care! You return to Locarno along the same cycle path as before. Some of this loop is on Italian soil, so you will need your passport – and a few euros if you fancy a coffee before the day’s ascent.